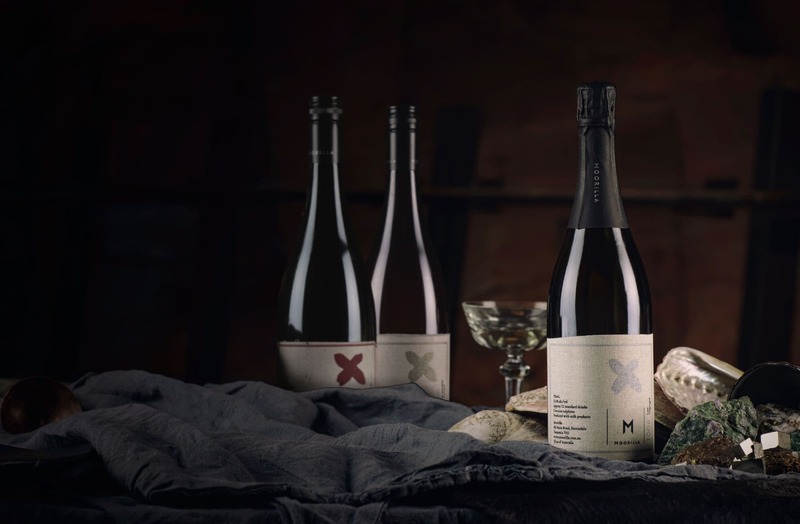 Decades in the making, our Cloth Label Series captures Moorilla’s terroir in three bottles of unusual vineyard blends. This wine series is our raison d’être, clarified and distilled, into something rich and strange. The Cloth Label Series is daring and artisanal, lauded for its luxurious flavours and complex balance. It’s unusual to have so many grape varieties in a single vineyard, which we saw as an opportunity to craft something singular to Moorilla. Our winemaker, Conor, took inspiration from his time in Châteauneuf-du-Pape, where it’s second nature for vignerons to cross-blend red and white grape varieties. We released the Cloth Label Series in celebration of the 50th anniversary of winemaking at Moorilla in 2012. The fabric bottle labels, printed with natural dyes and hand applied, are an homage to our founder, Claudio Alcorso, who also created textile label Sheridan over a glass of wine in 1967.